So, here we are. A pretty vast topic with a bazillion opinions on what is right and what isn’t. For the uninitiated, Every Day Carry, or EDC for short, is a collection of items which you carry on your person at all times (every day) to expand your level of preparedness and resilience in your daily activities and also to provide an edge in unforeseen situations. This doesn’t always have to be a life-or-death catastrophe. It can be something as simple as needing emergency cash, or cut packaging, but if you don’t have simple, quality, accessible tools for such things, you’d be at a disadvantage. In a graver scenario, if catastrophe strikes and you’re unprepared, you’ll be less-likely to weather the storm. Either way, you should always have an escape plan. In a larger sense, your EDC is only a small part of a larger personal resilience plan, however, I’ll write separate posts for vehicle, office, home and emergency kits later on. Right now, lets start at the most basic. At the end of the day, I believe in three principles to follow when developing and gearing-up your Every Day Carry (EDC). FLEXIBILE: Is your kit adaptable to changing conditions? Can it be scaled-up/down as needed? EFFECTIVE: Are these items useful for multiple scenarios? APPROPRIATE: Will this be too much to carry, too attention-grabbing, or are the pieces of low quality and will fail you in your time of need? Is it appropriate for your environment (Toronto, ON versus Manatoulin Island, versus Dallas, TX)? Carrying a gun in Toronto is far different than Dallas, or in the woods of Manatoulin versus a courthouse in Toronto. That said, you’ll notice that concealed carry handgun(!) is on the list, as well as an extra magazine. Now, that may fly in the US, but anywhere in Canada, you’ll be looking at jail time with that load-out. 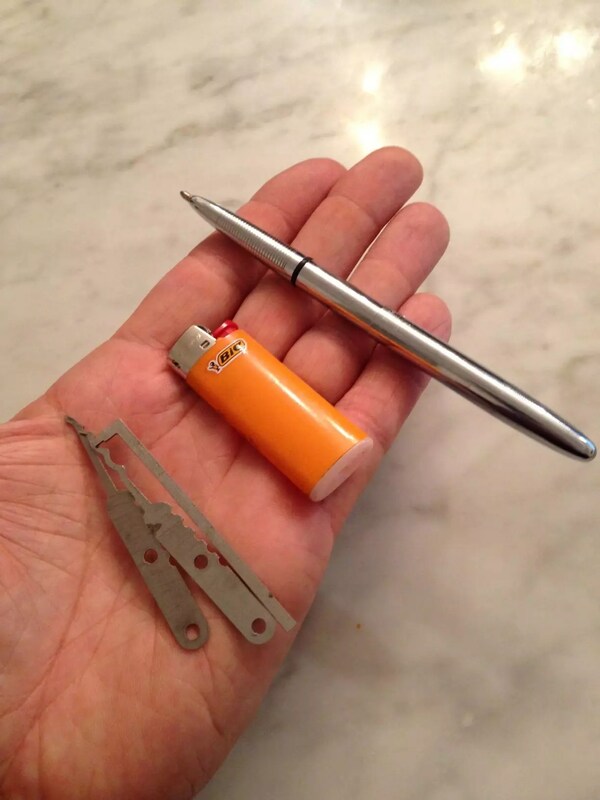 Most of the rest on the list is pretty good, but again, assessing your daily EDC with the 3 Principles mentioned above should allow you to ensure your one step ahead of a problem. Learn unarmed self-defence, use a steel-barrelled pen and a low-profile impact weapon of you need, but for the love of all that is imagined holy, don’t carry a gun around in Canada unless you want the cops after you. 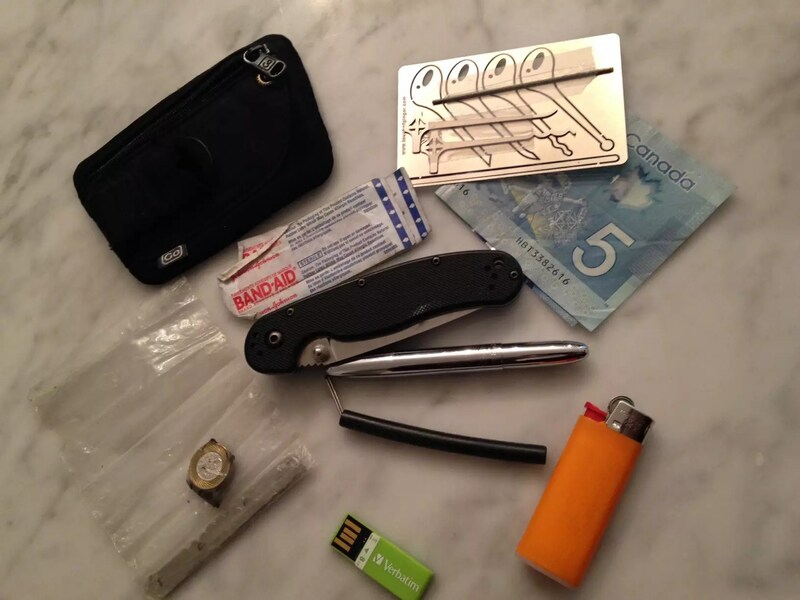 Here is a picture of some of what I carry on me on a daily basis in Toronto, Canada. Subway tokens (never know when you might need to abandon your car). RAT-1 foldint knife (not “tactical” looking, just a simple, sharp, disposable blade). Band-Aids (because you never know if you or someone else would need one. Lock picks (several sets, because you just never know). Diamond wire rod (again, because you never know). Cash (because cash is king, and you might need a slice of pizza sometime). 1-2 steel-barrelled pens (Like Zebra or Parker) *not tactical-looking. Tiny Inconspicuous Handcuff Key (because unlawful restraint wouldn’t customarily be conveniently timed). Inside-the-fly of my Triple Aught Design Recon shorts. As if the Lolly isn’t even there. 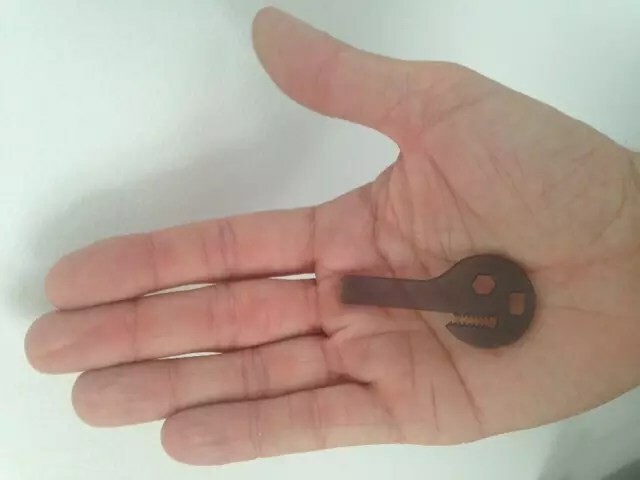 About the size of a house key. Weighs next to nothing. I do also ALWAYS wear a watch and will have my phone with me 99% of the time. 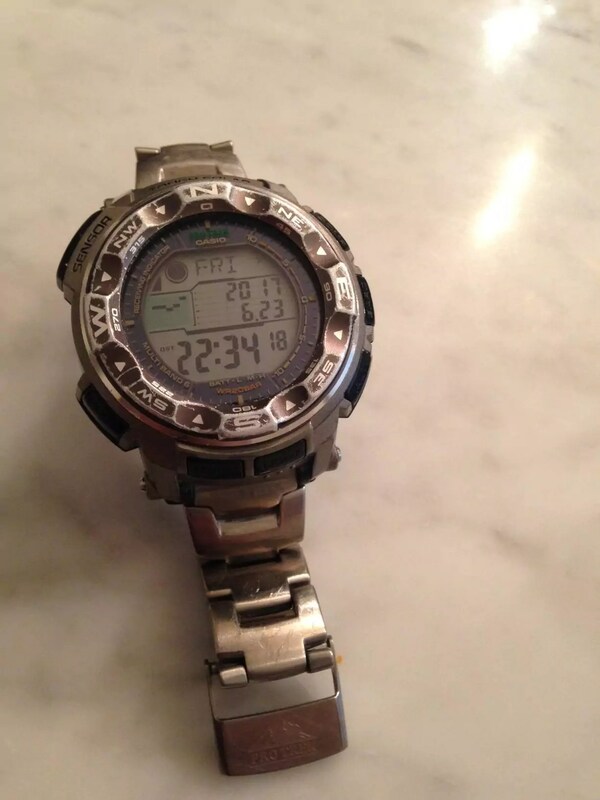 (in a dire emergency, I can always barter or pawn my watch for some cash and still have my phone for comms). I love my watch. Titanium, lightweight, atomic and solar, compass and barometer and more. For my daily purposes, there won’t be a gun involved in any way and multi-tools are too bulky for my activities. Canadian laws would make me a SWAT-team call-out for a pistol, so that’s kinda off the table. As a matter of course, I carry lock picks. I’ve received several shocked and troubled looks from people should they find out about this, thinking I’m a burglar or something nefarious, but the simple fact is that I strictly adhere to lock picking ethics (read more about it here) and have used them to either help others (with permission, opened a car door for a guy who locked himself out in a blizzard with the car running – I saw it happen) or myself (lost the key to my bike lock) and only would use them to save a life in a dire circumstance. Otherwise, they’re just tools used for the sport of Locksport. I feel that, in an emergency, sometimes salvation is behind a locked door. Better to make amends later when you’re safe, than not have the chance. If you want an opportunity to learn how to pick locks, check out this amazing opportunity in Toronto in July 2017. Details HERE!!! I feel that this load out works for me, for my lifestyle, in Toronto, most of the time. Thankfully it is scalable, can be augmented with things from my car. 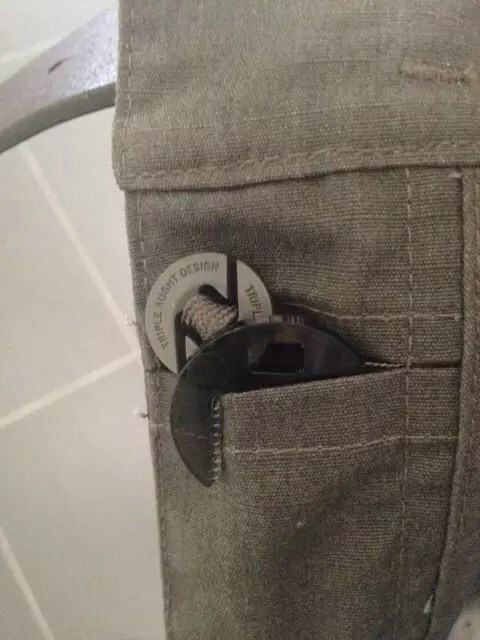 (As mentioned above, I’ll be doing a piece on other EDC/kits at a later time) I also like that it is near-zero visibility thanks to the clip wallet and my spread placement across my person. The great thing about EDC is that it’s a wide-open topic with huge on-going debates. 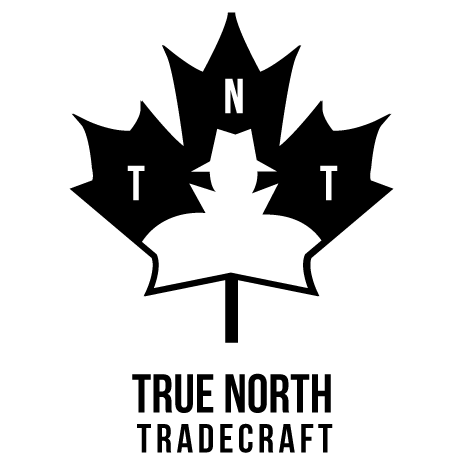 I prefer to focus on adjusting mine to my needs and environment (Toronto, Canada) while adhering to the 3 principles I mentioned and looking for new ways to make it more concealed and admissible into non-permissive environments. Keep some things on you wherever you go that will help you out of a jam if things get tough. By following those 3 principles and investing in decent equipment, you’ll be miles ahead of the masses who only have their phone when things go sideways. In the meantime, keep modifying, keep testing, keep improving. Till next time, stay crafty.